Mix up slots, bingo, card games, and more as you play free Slingo Games. Try before you buy! 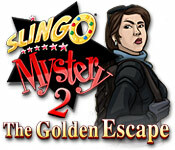 Help Maggie Gold as she seeks to find out why Freddy’s money hasn’t solved her problems.